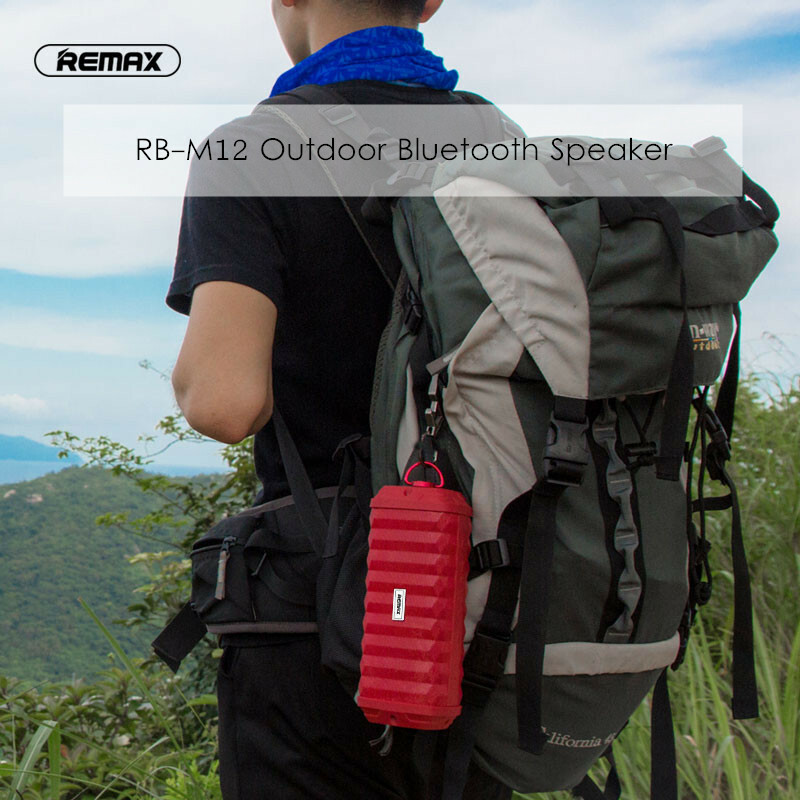 Remax RB-M12 Outdoor Water-Proof Portable Bluetooth Speaker 4000mAh battery, up to 30 days standby and 6-8h working for you. Strong detachable hook, much easier for you carrying it during sporting. Two colors for your selection, choose the one you prefer and enjoy funny sporting. Equipped with top drive unit bringing you bass and stereo sound, let you always have great music. Adopted IPX7 water-proof technology, special equipment for most outdoor activities such as hiking, swimming without damages by water concerns.